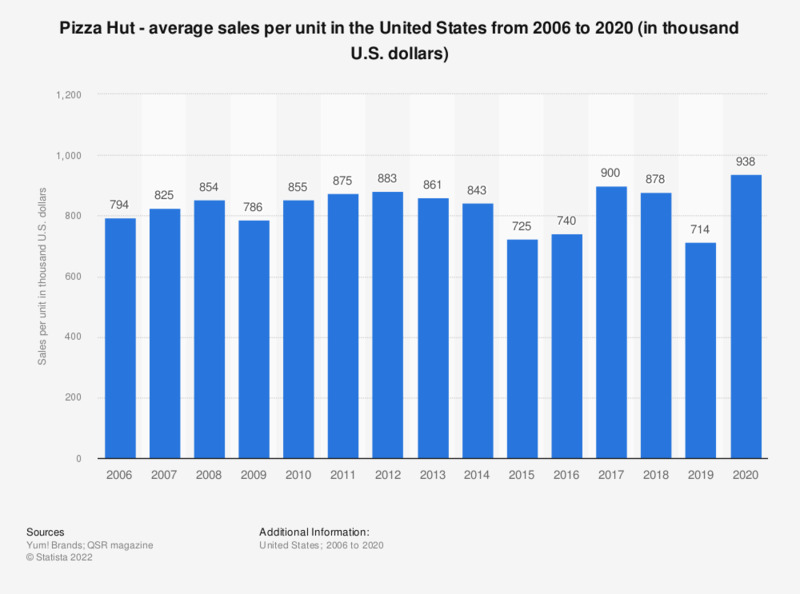 This statistic shows the average sale per unit of Pizza Hut in the United States from 2006 to 2017. In 2017, Pizza Hut's average sales per unit reached 900 thousand U.S. dollars. In 2017, Pizza Hut was the second pizza restaurant chain in the United States in terms of sales.